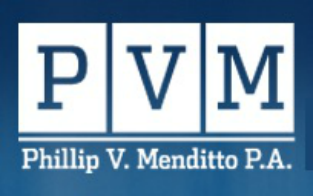 A competent, aggressive defense attorney, former prosecutor Phillip Menditto has a thorough understanding of the laws. With top legal skills and extensive trial experience, former prosecutor Phillip Menditto, PA. is a top defense attorney for federal crimes clients. Mr. Menditto understands both aspects of trial cases and criminal laws on state and federal levels. Based in Fort Lauderdale, federal crimes attorney Phillip Menditto will fight aggressively to secure the best possible outcome for you. Criminal defense attorney in Fort Lauderdale Florida Phillip Menditto. If you are contacted by any law enforcement officials, immediately contact your Fort Lauderdale defense attorney for federal crimes, Phillip Menditto so that your rights are protected. You must be very careful not to incriminate yourself by talking to law enforcement. Mr. Menditto has successfully defended many federal charges and is ready to fight for you. In general, Federal Crimes are not very different from State Crimes. One major difference, besides being in two different courthouses, is that State Cases are investigated by local law enforcement and prosecuted by County Prosecutors that can have a plethora of cases with limited funds, time, and experience. that have nearly endless funds, few cases, and a world of experience. The combination of these three can spell disaster for any defendant indicted or under investigation without a competent, aggressive, and knowledgeable attorney. Federal Crimes also differ from State Crimes in the way an individual is charged with a crime. Most state crimes are filed against a defendant by way of an “Information”. An “Information” is a document that is filed by an Assistant State Attorney once they read the police reports and determine what the charges should be. In Federal Court, an individual is mainly charged by way of a Federal Indictment that is generated through a Grand Jury. This only increases the importance of being extremely careful when talking to a police officer or federal agent about a criminal matter as their purpose, more than likely, is gaining evidence through talking to you. Contact criminal defense attorney Phillip Menditto immediately upon being arrested! Legal help available 24/7.